It has been a glorious day here. 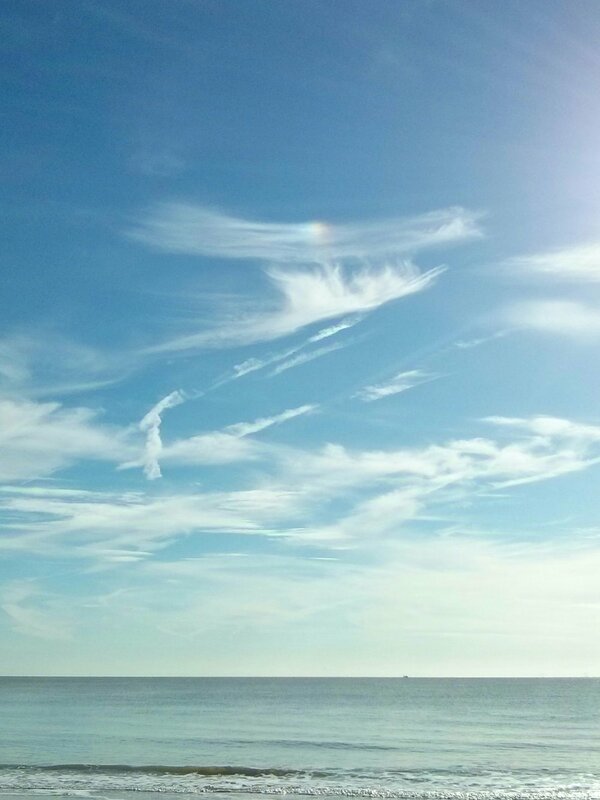 At the beach this morning the sky was marked with wisps of high cloud, sundogs coming and going high up in icy air. I started on a couple of acrylics on paper and I’m thinking this might be a better way forward with the big painting that seems to have ground to a halt… or it might just be a different painting.